What do the stars have in store for you this year? A fabulous New York State adventure, of course! Find your perfect vacation with our handy guide to the top spots for every sign of the zodiac. Adventurous Aries will find plenty to satisfy their daredevil tendencies at Whiteface Mountain, home of the greatest vertical drop in the Northeast. 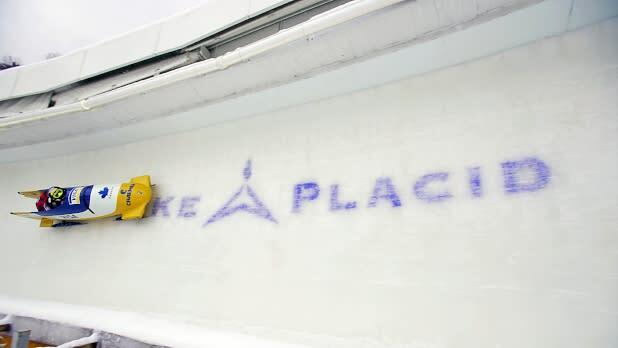 And if that’s not enough to satisfy your need for speed, go for gold at the nearby Olympic sites in Lake Placid where you can take a 55-mph run on the bobsled track that hosted the world’s best speedsters during the 1932 and 1980 Winter Olympic Games. A bull in a glass museum? Trust us on this one. Persistent and determined Taurus will love exploring more than 3,500 years of innovation in the art and science of glass at the Corning Museum. 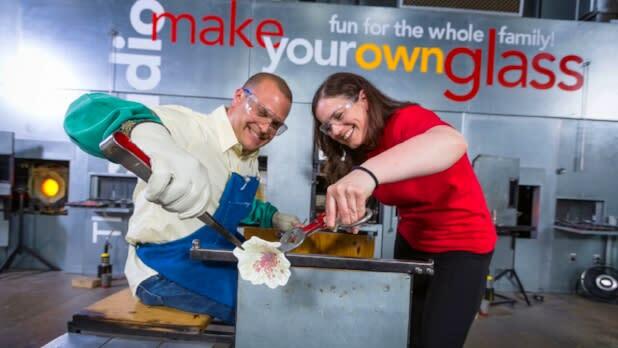 You can even craft your own masterpiece in the museum’s Make Your Own Glass experiences, where the whole family can blow and manipulate colorful glass into beautiful ornaments, pendants, and more. Quick-witted Gemini is sure to find a few kindred spirits at the Apollo Theater in NYC’s Harlem neighborhood. You’ll laugh, you’ll cry—and if you’re lucky, you’ll see a star being born. 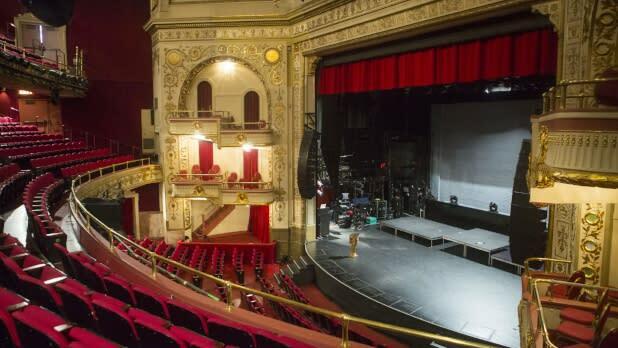 Amateur Night at the Apollo, world-famous for launching the careers of greats like Ella Fitzgerald, James Brown, and Michael Jackson, is a New York institution. With tickets priced as low as $22, it’s also one of NYC’s biggest steals. Get the tissues ready, Cancer, we’re going to send you to the scene of an epic love story like no other. 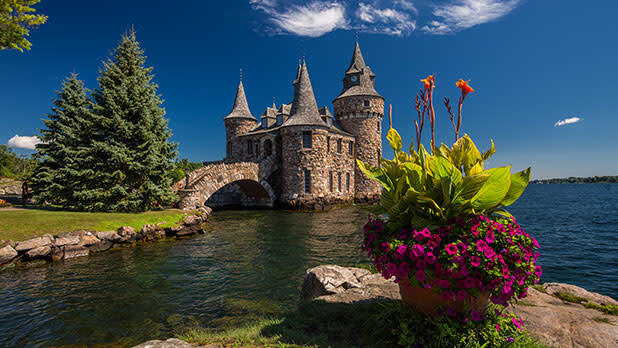 Your voyage starts a few miles offshore from Alexandria Bay in the Thousand Islands (there’s actually 1,864 of them), where a romantic millionaire named George C. Boldt commissioned a fairytale castle for his wife, Louise. Sadly, Louise passed away before the castle was completed, and the heartsick Boldt halted construction. Luckily, the castle was later restored to a grandeur worthy of princes and princesses of all ages, and it’s now open for visitors every May through October. Okay, so Leos can be a little bossy, but that’s not necessarily a bad thing, right? 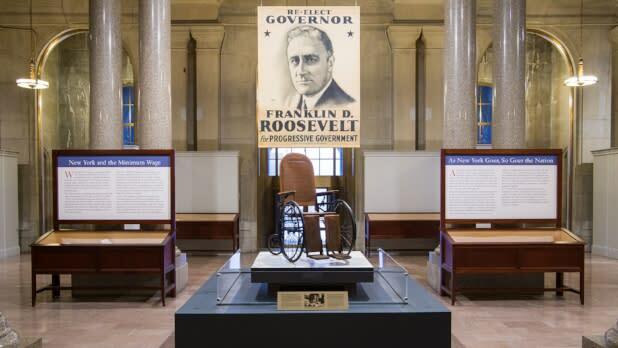 Take the fam on a trip to Hyde Park to learn more about one of America’s most beloved power couples—no, not Jay and Bey—we’re talking about the home and museum of No. 32, President Franklin D. Roosevelt and the original girl boss First Lady, Eleanor Roosevelt. Set on an expansive property that borders the Hudson River, you can see where the Roosevelts spent their days when not at the White House—and even scope out the very spot where FDR treated the King and Queen of England to a picnic with hot dogs. Think of it as summer camp for the NPR listener. 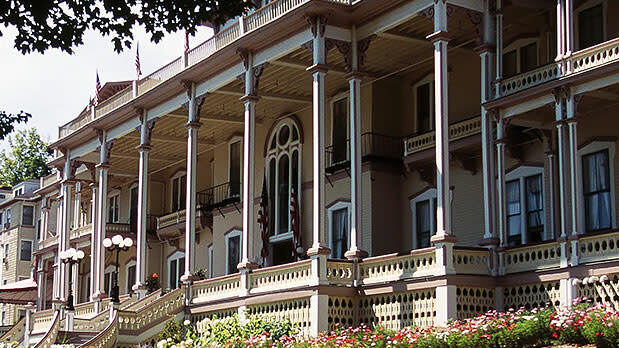 Virtuous Virgo’s intellectual cravings are sure to be satisfied at the Chautauqua Institution, a lakeside retreat with daily lectures and cultural events featuring some of today’s greatest thinkers, doers, and dreamers every summer. Lest you think the grown-ups get to have all the fun, kids can enjoy activities developed just for them at the country’s oldest day camp (pre-registration strongly encouraged). Stays at the historic onsite Athenaeum Hotel include a pass to the cultural goings-on and an all-you-can-eat breakfast on a Victorian porch that will make everyone you know Insta-jealous. Romantic Libra won’t be able to resist the charm of the North Fork of Long Island’s East End. The Hamptons’ more easygoing neighbor is dotted with cozy inns and plenty of farm-to-table delicacies to satisfy this sign’s indulgent side. 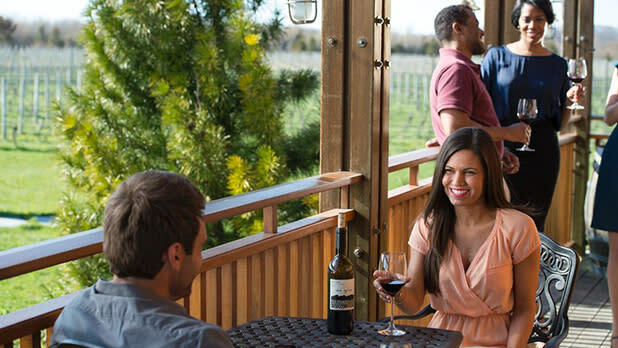 If vine-to-glass is more your thing, the region’s 60-plus wineries will have you debating red, white, or rosé—but why not be diplomatic about it and try them all? It’s hard to think up a match for Scorpio’s intensity, but Niagara Falls is as close as it gets. Exciting? Check. Magnetic? You bet. We’re pretty sure when you experience the falls it’ll be true love at first sight. We know you won’t be satisfied by admiring from afar, so why not go all-in with a Cave of the Winds Tour? 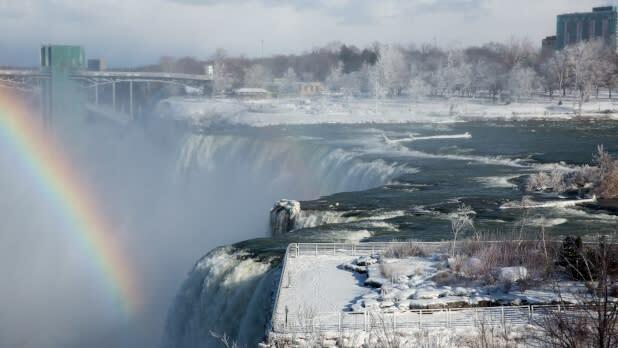 An elevator brings you down into the Niagara Gorge where wooden walkways take you to the “Hurricane Deck” putting you mere feet away from the base of the Bridal Veil Falls (fun fact: Niagara Falls is actually made up of three distinct waterfalls). 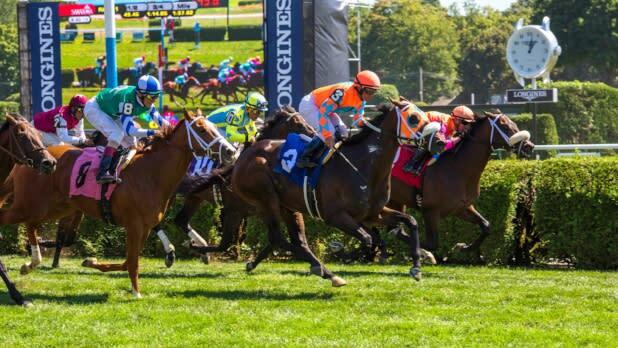 Optimistic Sagittarius will want to try his or her luck at the Saratoga Race Course this summer when the fastest and most majestic face off for a season of horse racing. Everyone’s a winner with the track’s brand new Saratoga Family Zone play area and Family Mondays, featuring a full day of fun games and activities kids are sure to love. Even the most restless Sag needs some R&R so be sure to follow up a visit to the track with a spa day at the Roosevelt Baths & Spa where you can soak your cares away in world-famous mineral waters or enjoy a relaxing massage no matter the season or weather outside. 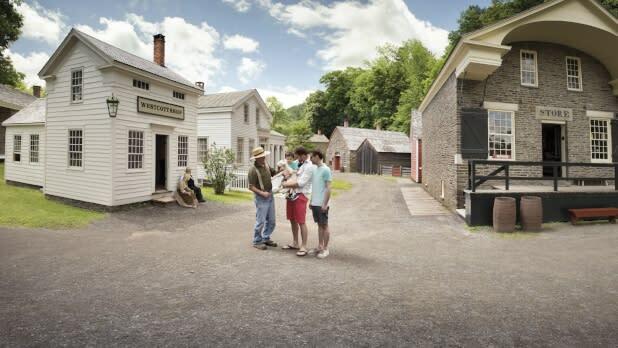 Practical Capricorn will appreciate life in a simpler time, so step into the 1840s with a visit to the Farmers’ Museum featuring a quaint Historic Village and farmstead in picturesque Cooperstown. But wait, there’s more! 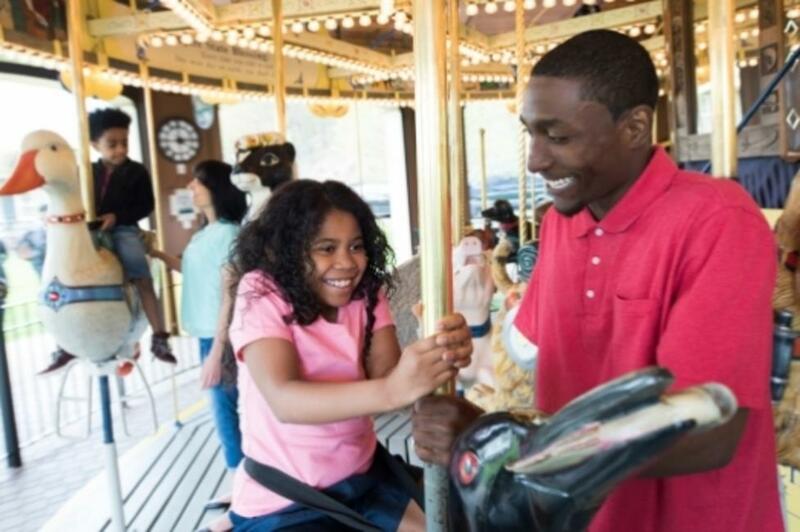 The Empire State Carousel, known as the “museum you can ride on,” features original hand-carved designs contributed by more than 1,000 volunteer artisans and artists from across New York State. Then check out the Cardiff Giant, a 10-foot “petrified man” and the subject of one of America’s biggest hoaxes that really has to be seen to be believed. Inflation may have done away with the original 25-cent admission fee, but we still think you’ll be duly impressed. Aquarius is an original, so why not take a walk on the wild side at the Wild Center? 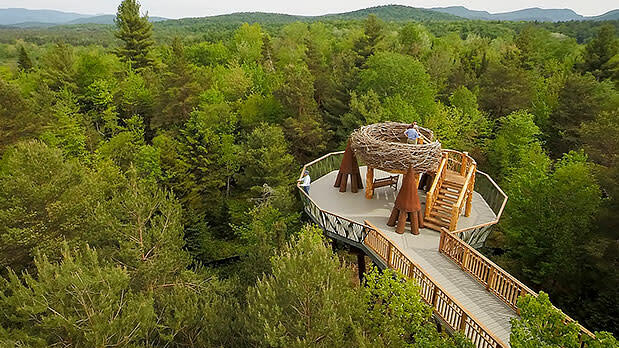 The main attraction, the Wild Walk, is a treetop trail that gives you a literal bird’s-eye view of the Adirondacks. Spend the rest of the day exploring the Center’s indoor-outdoor exhibits on natural history that will give you a whole new appreciation for the world we all share. 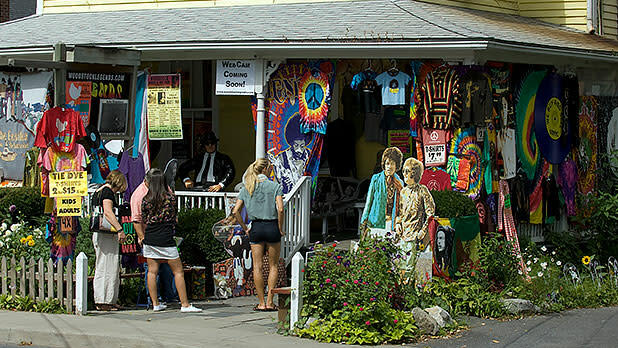 The Pisces imagination knows no bounds—so unleash it in Woodstock, a creative enclave just two hours north of NYC. Browse the funky shops in town then head over to Byrdcliffe Art Colony, the oldest arts and crafts colony in the country, where you can browse bespoke exhibits and get your hands dirty with classes in ceramics and jewelry-making, to name a few. Don’t forget the hiking boots, as no escape to this part of the Catskills is complete without becoming one with nature. Nearby Overlook Mountain offers a view that’s worth the climb.